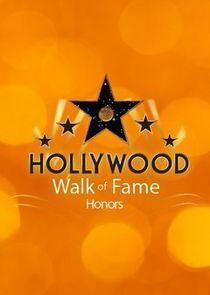 The Hollywood Walk of Fame Honors a first-ever televised event, will air on The CW Network on November 23 (8:00-10:00 p.m. ET/PT). The special dinner ceremony, filmed in front a live audience, will be a celebrity tribute, with presentations honoring the legendary legacy of the iconic stars who are on the world famous Hollywood Walk of Fame. The event will also celebrate the Hollywood Historic Trust and its efforts to promote and protect the Walk of Fame. Produced by Hollywood Walk of Fame Productions and filmed at the Taglyan Complex in Los Angeles, California, the special will be hosted by "Criminal Minds" star Joe Mantegna, and his daughter, Gia Mantegna. Celebrity presenters will include: Chuck Norris, Dean Cain, Deidre Hall, Gabrielle Ruiz, Jeff Dunham, Justin Baldoni, Louis Gossett Jr., Mike Tyson and Montel Williams; with special guest musical and magic performances by The Beach Boys, Daughtry, David Foster, Michael Bolton, BC Jean, Candice Glover, Pia Toscano and Penn & Teller. Joe and Gia Mantegna host a tribute to the Hollywood Walk of Fame, with celebrities Louis Gossett Jr., Dean Cain, Justin Baldoni and more; performances by Penn & Teller; musical performances by Mike Love and The Beach Boys, Daughtry and others.